Sometimes school doesn’t work out like people expect. And sometimes homeschooling doesn’t work out like people expect. When I talk to parents at conferences and workshops, I realize that for some of them, homeschooling seems to be a way to create “a sure thing” — a kid who will be happy, or a kid who will be successful — according to the parents’ particular definition of success. While homeschooling for engagement can create a lot of learning, it cannot create “a sure thing,” any more than any other approach to education can. That’s because children are people. Jones is not, in fact, writing about homeschooling, but her observations are apt regardless of how children are educated. Our children are autonomous beings, and they will create their own lives, which we parents may or may not be happy about. As I’ve written previously, there is no homeschooling guarantee. In homeschooling, I’m particularly grieved for the parents who’ve been instructed by leaders of their “brand” of homeschooling that if they do homeschooling right, their children will turn out right. In some natural parenting circles, we hear the dogma that meeting a child’s needs sensitively and without coercion will result in a successful, well-adjusted child. 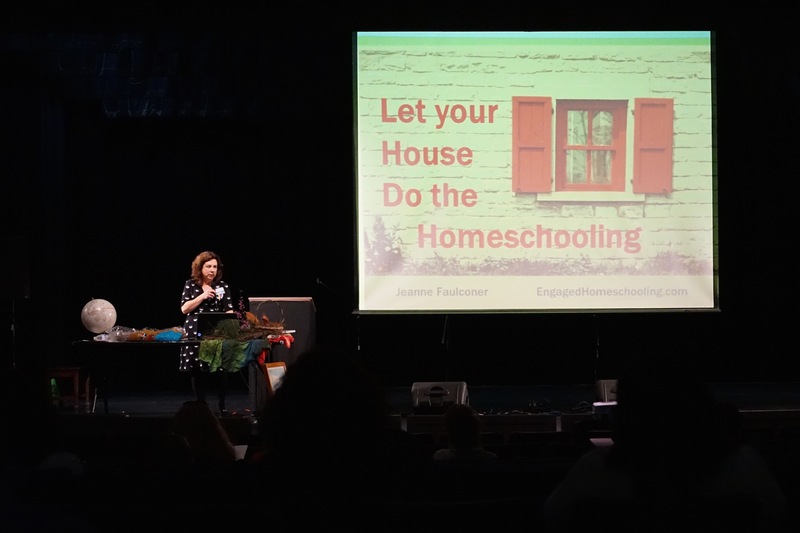 Among some of today’s mainstream homeschoolers, we hear that committed parents can create a homeschool program that will get any kid to college. I’ve got news for you. These “sure thing” statements will result in disappointment and even grief for some parents. How unfair to set the standard that doing everything right or following a homeschooling approach completely enough will have a magical effect. Sure, nurturing makes a difference, but kids come with their own individual hard wiring, and kids intersect with thousands of variables that will affect the course of their lives. This is not only unfair to the parents, but unfair to the kids. Homeschooled kids should not have the burden of proving an approach to religious training or parenting or education to be “right” in addition to the challenges of growing up, becoming independent, and being themselves. Engagement is a powerful attribute, but I guess I’m not cut out to be a guru — because I can’t bring myself to say engaged homeschooling will prevent tooth decay, guarantee religious conviction, stimulate the acquisition of advanced degrees, or create enormous earning potential. You’ll need to supply your own toothpaste, holy water, GRE scores, and entrepreneurial skills. I can just tell you that Engaged Homeschooling seems to harness in one model a lot of what makes homeschooling work when it works — and it’s a great way to spend time with your kids. This entry was posted in Engaged learning, Homeschool Guarantee and tagged BrainChild, homeschooling and autonomy, homeschooling and free will, homeschooling guru, reality of homeschooling, to raise up a child on April 9, 2014 by Jeanne Faulconer.